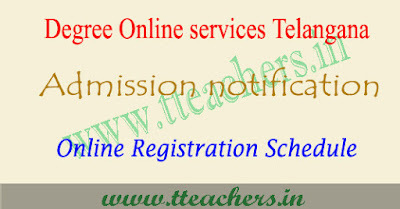 TSCHE released today of Degree online admission notification for the session 2018-19. 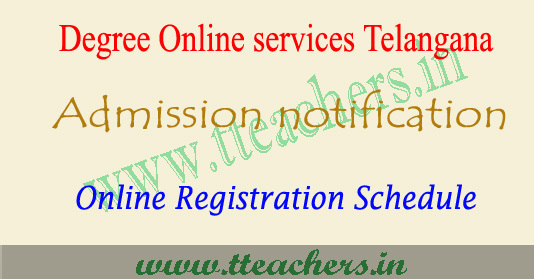 So candidates who want to apply for degree courses of Telangana region can check Dost degree admission schedule it is given under through table. According official notification TS Dost degree Registrations and web options will be started from 18th May 2017 to 4th June 2017. They provide to apply one more chance to desire candidates with late fee of Rs 200/- it facility available from 5th June 2017 to 6th June 2017. After finishing the TS Dost degree admission online registration, officials will be released 1st round seat allotment to applied candidates. Seat allotment will be placed at official portal on 10th June 2018. So candidates can check for complete schedule of TS Dost degree admission 2018 it is given under see them. For more details in this regard like TS Dost degree admission schedule 2018, ts degree online registration last date 2018, dost degree web options procedure, web options last date 1st round dost allotment for the year 2018 - 2019 please visit above web link.